Son of Jones Marshall Randall, Sr. and Mattie Lois Watson, Jones Marshall Randall, Jr. (known to friends and family as “J.M.”), was born on May 13, 1914, in Lavonia (Franklin County), Georgia. 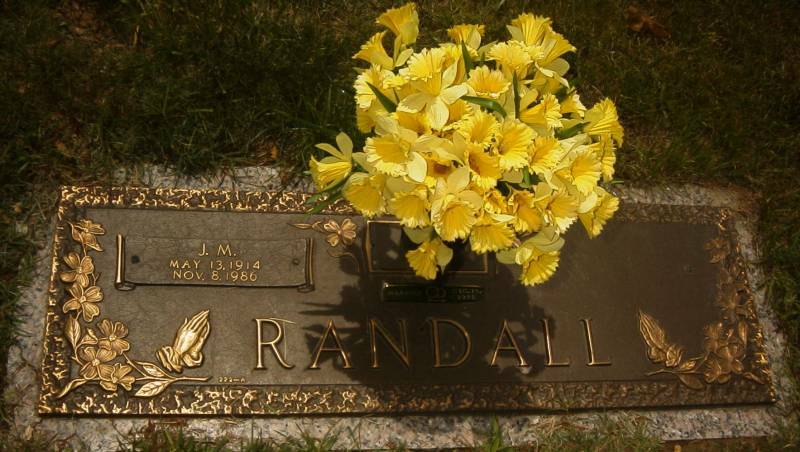 Jones Marshall Randall, Jr. (May 13, 1914 - Nov. 8, 1986). Follow-up Note: After they divorced, she kept of name of Mrs. Randall until she died (He married several times). He had one son who was killed in an automobile accident (driving too fast around a curve).